Many women argue that the work done by women isn’t valued as highly as that done by men, contributing to the gender pay gap. Researchers from Cornell University have given that argument more credence. Their study finds that wages decline when women enter a business in large numbers although the women are doing exactly the same jobs previously held by men, according to The New York Times. Another study—conducted by Paula England of New York University, Asaf Levanon of the University of Haifa and Paul Allison of the University of Pennsylvania—tracked changes in jobs and pay between 1950 and 2000. In the recreation field, for example, where the workforce shifted from mostly male to predominantly female, median hourly wages declined by 57 percentage points. For the job of ticket agent, which also shifted to mostly female, wages fell by 43 percentage points. You can read Claire Cain Miller’s complete article here. Why not share your experiences and opinions with others on GlassCeiling.com? If women can make 27% more as IT managers than as HR managers, then why are they not making that shift in droves? And why aren’t maids and housekeepers quitting en masse to get the 22% higher salary as janitors? This is not spilling the whole story. I can’t speak for all organizations but women are treated much better than the men are in my company. Men do the much more hazardous or dangerous jobs and get paid the same as women who do less dangerous jobs and less needed jobs. Equal opportunity employer, indeed. Plus I was in mgmt, I only managed one woman and she was a headache to work with when it came to scheduling and she tried to use the doctor’s notes to get out of training and job related needs. She wanted premium shifts and didn’t want to do any of the hard or difficult work yet she was topped out in pay and still getting a paycheck and benefits from it. 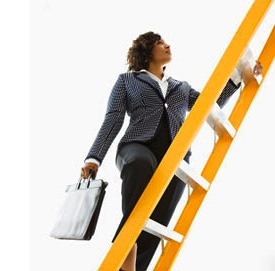 Not to say this represents all women but women tend to steer clear of rough or risky jobs. On a different note, the US job market is still in shambles as employment participation keeps declining as globalization / automation keeps rising. All of us are going to be out of work (equally) at this going rate and nobody is going to care about the gender specifics of how it goes down, if it hasn’t already happened. A plus side for women is they have prostitution but men won’t have the same luxury.